Two hundred years and more after the arrival of industry, Preston is a university city. It is still on a major north–south route and it is still a major administrative centre. Dr David Hunt charts all of these changes in a readable, accessible manner. 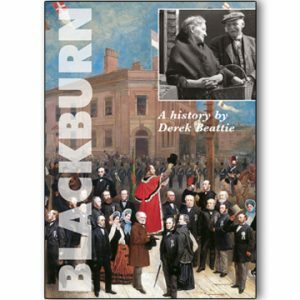 Packed with insight and detail, it was the definitive history of the town when it was first published; this new, updated and handsomely illustrate new edition will continue that for another generation of readers. 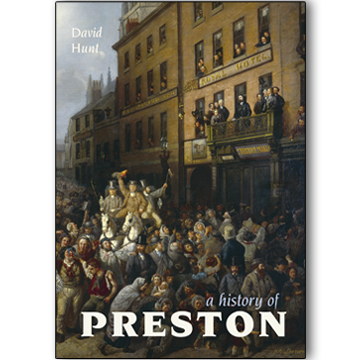 Preston has had a long and varied history. Its location on the bluff overlooking the most convenient ford over the strategically important river Ribble meant that it has always acted as a crossroads: it is on the main west-coast route north to Scotland, and many armies have passed through the town; and it also used to be on the important trans-Pennine route from west to east, from Ireland to York. Market town, administrative centre and until the late eighteenth century genteel place of residence, Preston grew steadily if undramatically right at the geographical heart of Lancashire. Then in the reign of George III Preston entered a dramatically new phase of its history, when industrial development began to gather pace until the town became an important centre of cotton textiles manufacture and a wide range of other manufactured products. 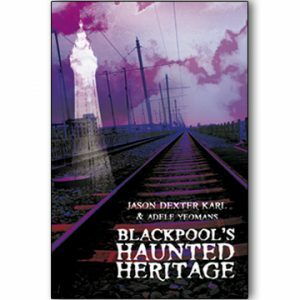 The town’s population grew enormously; the townscape prickled with mill chimneys; and the town was transformed from a genteel market town into what Dickens, Engels and others saw as the archetypal northern industrial town … capitalism in the raw and its associated harsh social and living conditions.